Free business Joomla 1.5 template with white and blue color scheme ready for download. Template has 3 columns with main content in the center column, header, sidebars and footer. 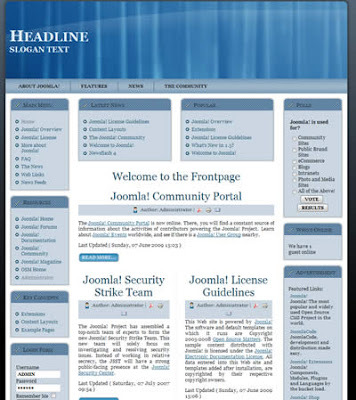 Joomla 1.5 free website template ready for download. 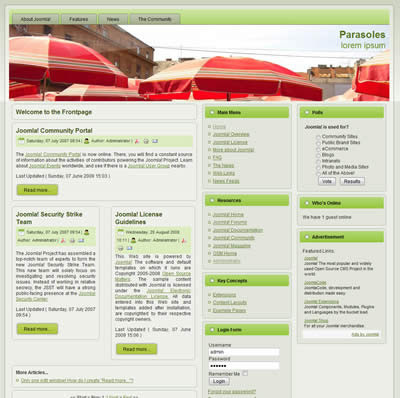 Template has three columns with main comtent in the left column, tabbed navigation bar on the top of template, gradient green background and nice header image. 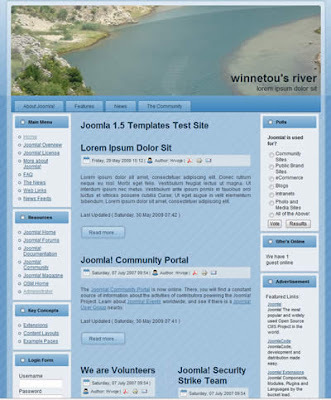 This free 3 column joomla 1.5 website template can be used for number of projects. Dark and light blue business Joomla 1.5 website template ready for download. Template has three columns with main content on the left and sidebars on the right. Header has nice image of the marina and logo in the top left corner. 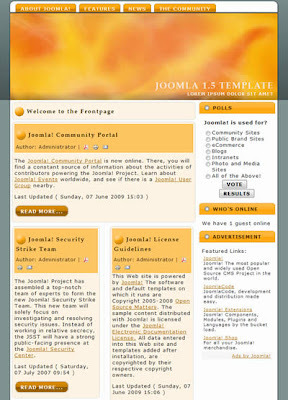 Two column free joomla template available for download. This free business joomla template has header, tabbed navbar, two columns and footer. 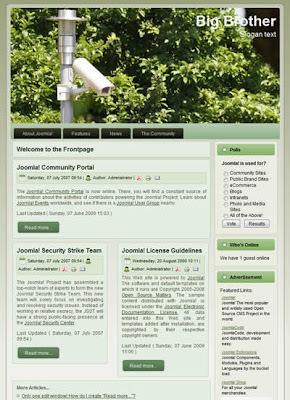 Nice one column free Joomla 1.5 website template ready for download. Template has green header with logo in the top left corner of the header, and tabbed navigation bar under the header. 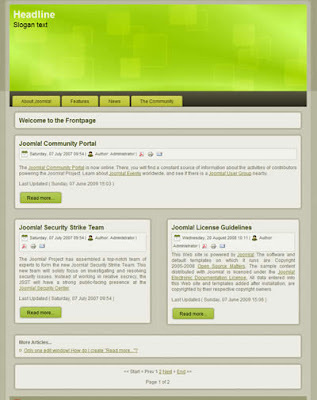 Nice two column Joomla 1.5 website template with tabbed navigation on the top of the header ready for download. Template has main contnt on the left and sidebar on the right. 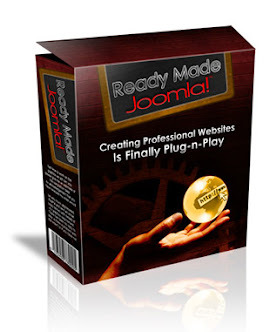 Free Joomla 1.5 business template ready for download. 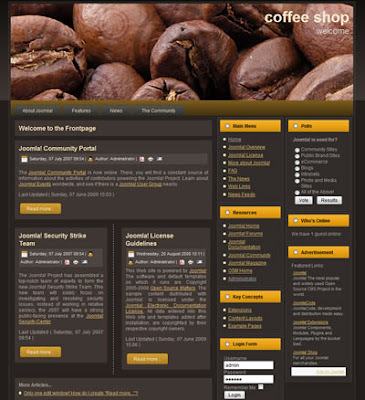 Template has three columns, coffe brown color scheme and nice picture of coffee beans in the header. Logo is placed into the header and floats to the right. Main content is in the left column. Two column Joomla 1.5 Website template available for download. 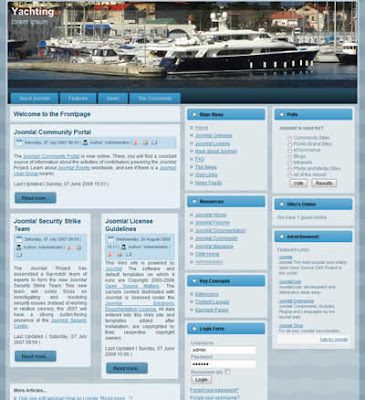 Template has header, main content on the left, sidebar on the right and footer. Nice three column business Joomla 1.5 website template available for download. Template has main content on the left and two sidebars on the right. Tabbed horizontal navigation bar is under the header. Template has olive and green color scheme and gradient background. 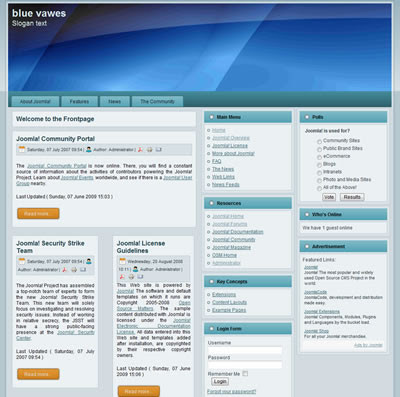 Very nice Joomla 1.5 template with blue header ready for download. Template is 1000 px wide and has three columns. 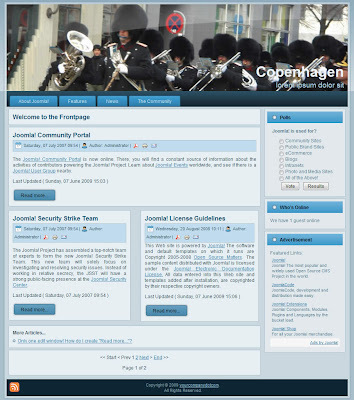 Main content is in the left column and 2 sidebars are on the right. 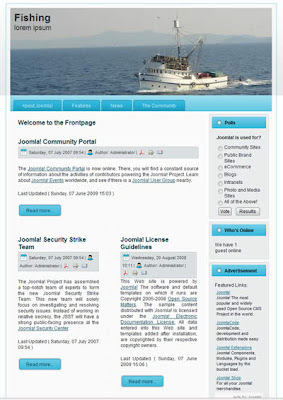 Simple 2 column Joomla 1.5 template available for download for free. Template has two columns with main content on the left and sidebar in the right column. Nice image of fishing boat is in the header but it can be easily changed to match your project. Template has tabbed navbar and logo in the top left corner of the header. 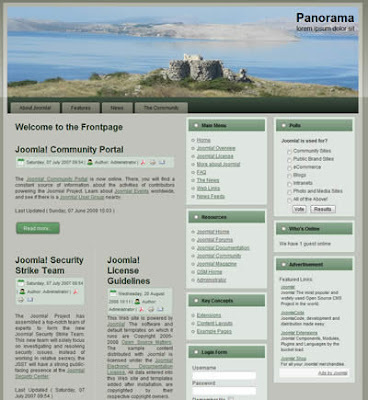 Another free joomla 1.5 template is ready for download on my blog. Template has three column and silver background. Header has an image of church ruins on scenic cliff overlooking island of Pag. It can easily be changed to accomodate design of your own project. Another Joomla 1.5 website template is ready for download. Template is 800 px wide and have 3 columns. Main content is placed in the centre column and side columns are on the left and right side of the template. Lovely picture of the curving river is in the header. Logo is placed in the lower right corner of the header. Template has stripped blue background and tabbed menu.